As guests arrive at the main lodge for the first time and start walking to their cabin the gurgling of the Buffalo Fork River acts as our unofficial greeter. Guests often enjoy their morning coffee or a glass of wine at sunset as the river lulls them into a peaceful cocoon. They’re often drawn to the banks, mesmerized by its flow. 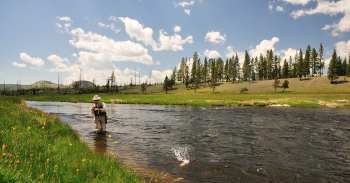 Along the vast length of the river, anglers can be found wading in the current to spend hours casting for the legendary cutthroat trout hiding in pools. A significant reason the river remains in its pristine state is Wild & Scenic River Act that was signed into federal law 50 years ago. The Buffalo Fork is part of the 408 miles of Wyoming rivers that are protected under the law. The section that flows from the ranch west to the confluence of the Snake River is included in the state’s Scenic Water designated area. It’s because of Congress’s foresight and President Lyndon Johnson’s signature that today 12,754 miles in 209 rivers that flow in 40 states and the Commonwealth of Puerto Rico are federally protected. The act classifies rivers in three distinct designations. Wild River Areas – These rivers or sections are free of impoundments and are generally accessible only by trail. Scenic River Areas – These rivers or sections are free of impoundments with shorelines or watersheds primarily primitive and undeveloped, but accessible in places by roads. Recreational River Areas – These rivers or sections are free of impoundments, are easily accessible and may have some development along the shoreline. The act, regardless of the river classification, is intended to protect and enhance the values that caused that area to be designated. 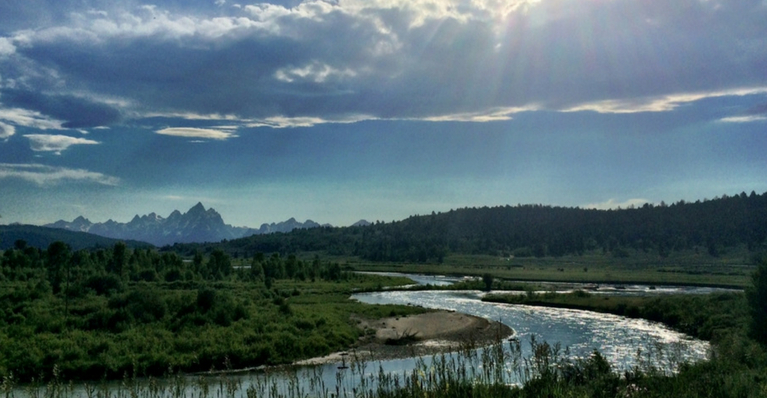 The 14-mile section of the Buffalo Fork that flows from the ranch to the boundary of the Grand Teton National Park is considered a Scenic River Area. The designation has helped this portion of the river become renowned for its array of fish and specifically the cutthroat trout so treasured by people fly fishing. Part of what makes the river so bountiful to habitat is its elevation. It is the highest drainage in the Jackson Hole area so that no matter what the snow runoff is each year, the Buffalo Fork is the last to clear the runoff. So, enjoy what the river has to offer and be thankful it’s been protected for so many years.